Still life of various flowers in vases arranged on a table. 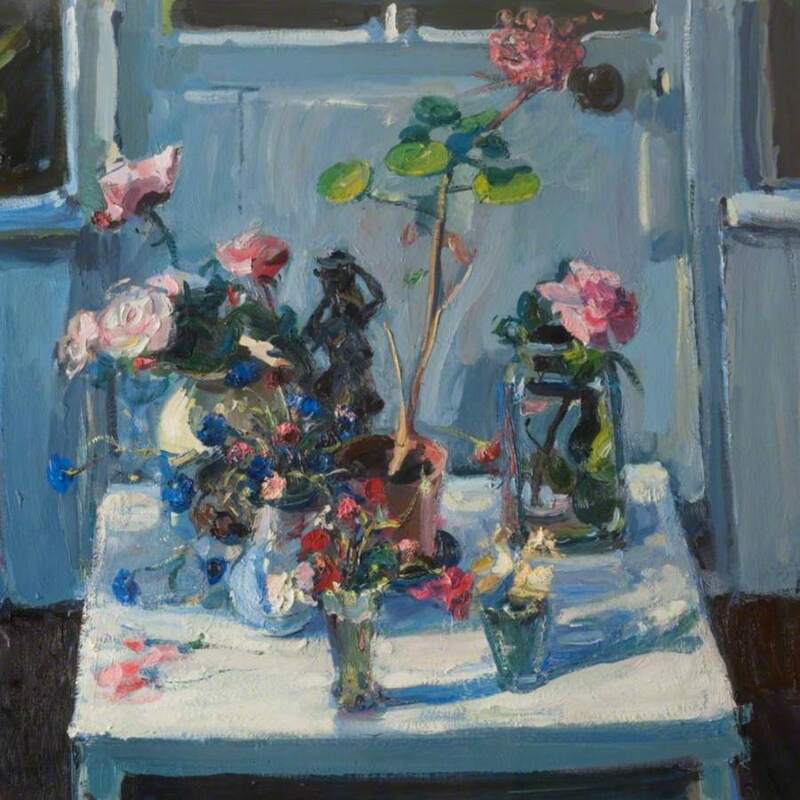 Fullarton; James (1946-); Artist, “Summer Blossom,” Heritage, accessed April 25, 2019, https://heritage.rcpsg.ac.uk/items/show/342. 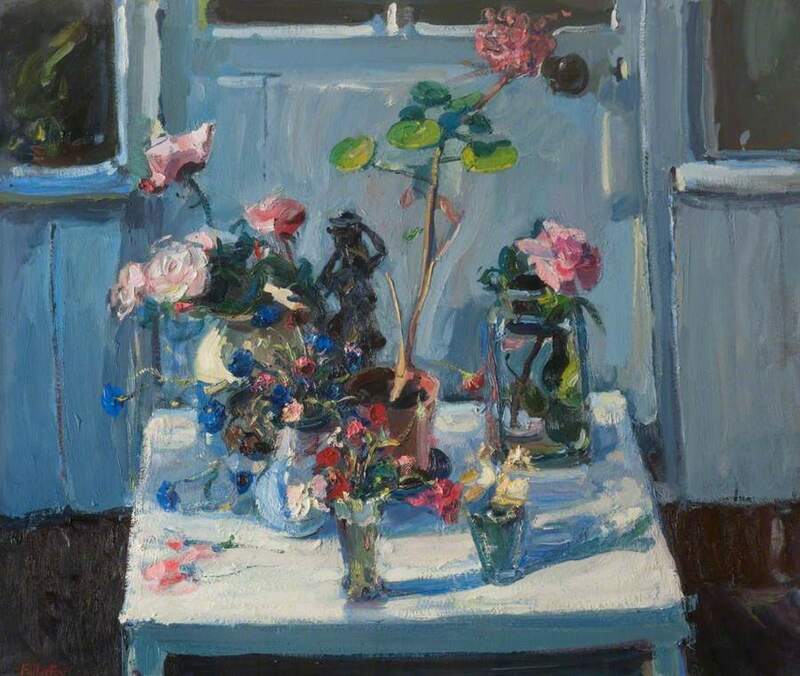 Description: Still life of various flowers in vases arranged on a table.